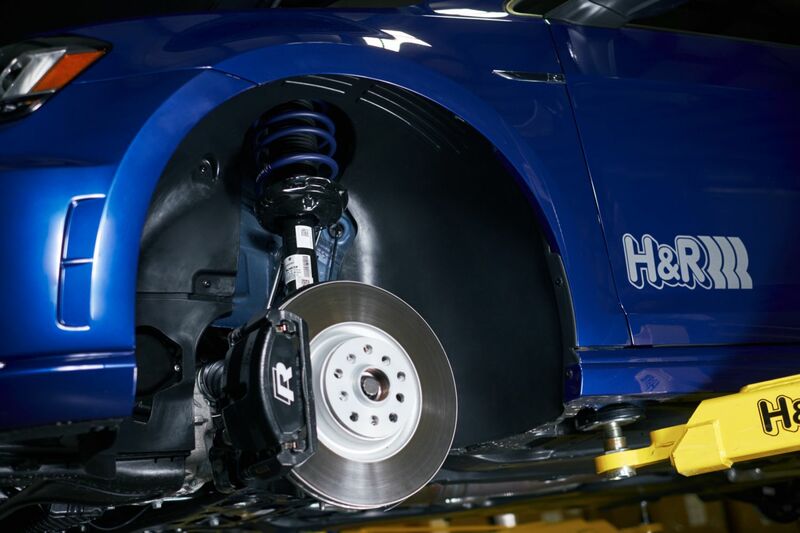 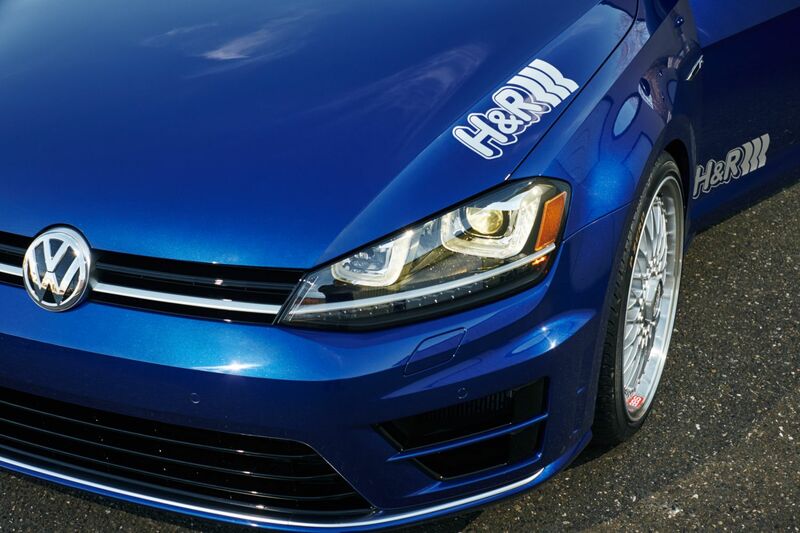 H&R 2015 Volkswagen Golf R | H&R Special Springs, LP. 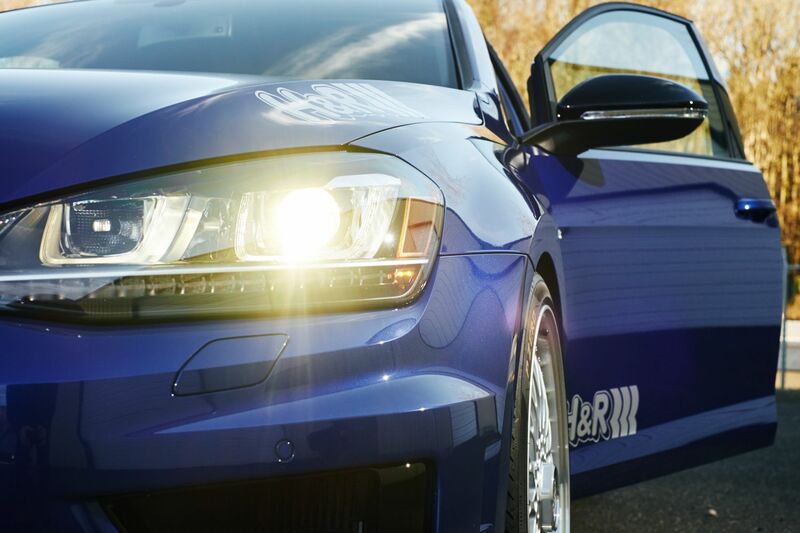 R you ready? 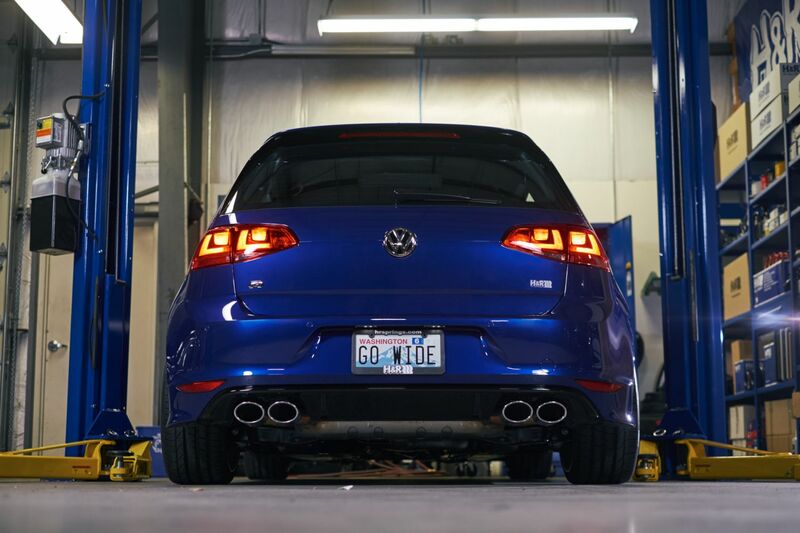 The new Golf R is here! 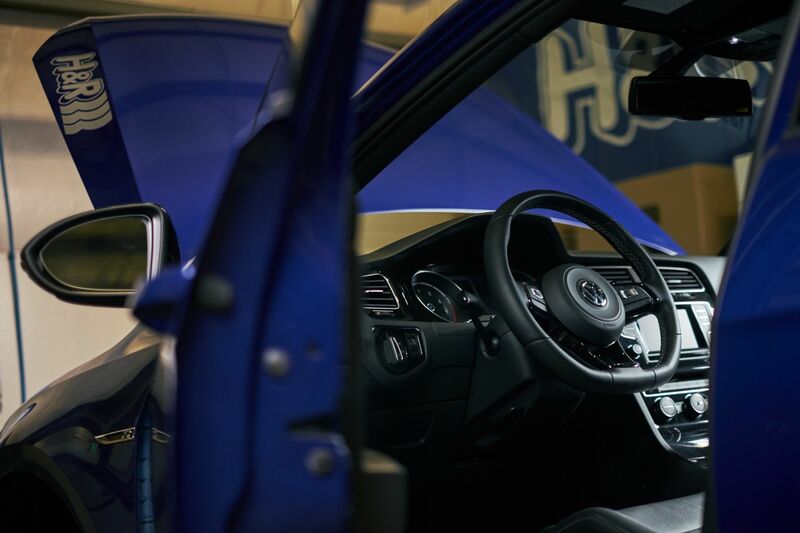 0 to 60 in 4.9 seconds – this hot hatch doesn’t hold back. 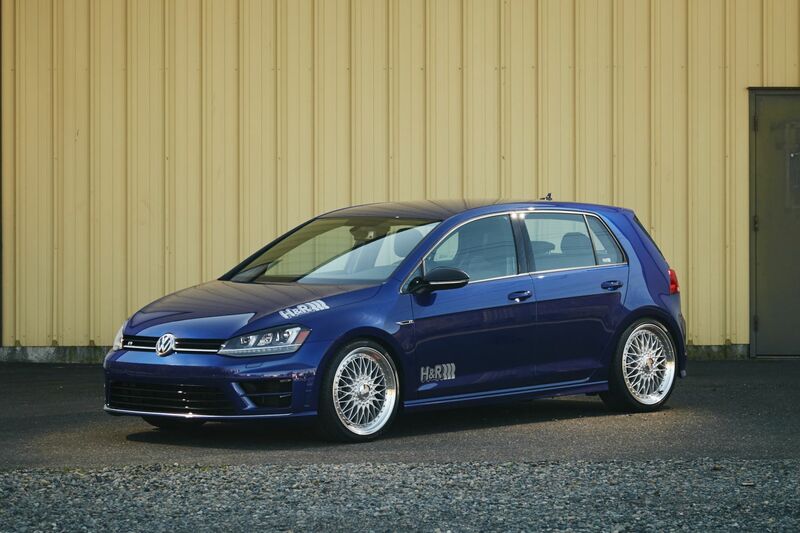 Our project builders took this already sporty Golf R and gave it an even more aggressive look with a set of H&R Sport Springs, which lowered the chassis a solid 1.0” front and rear. 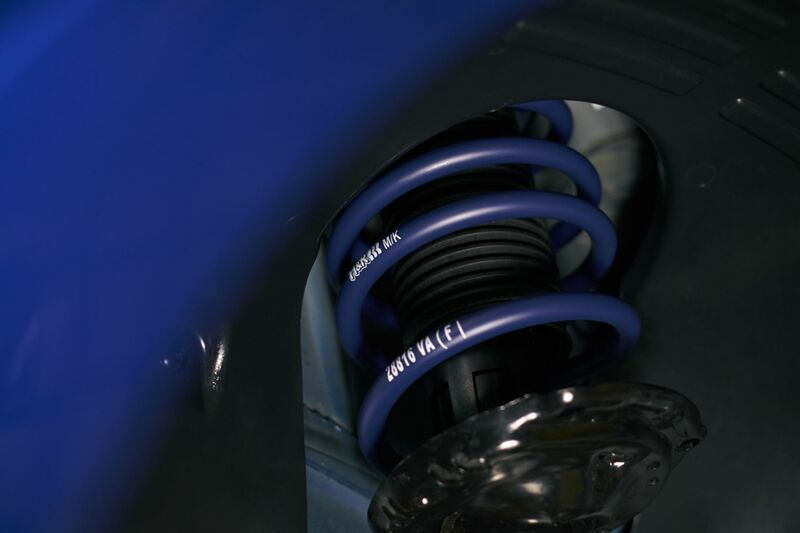 H&R Sport Sway Bars, 27 mm front and 25 mm rear, were added for awesome turn-in. 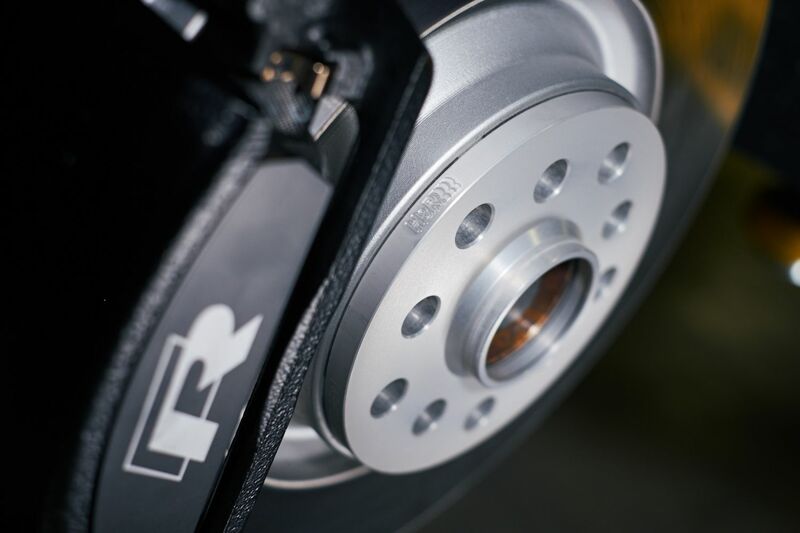 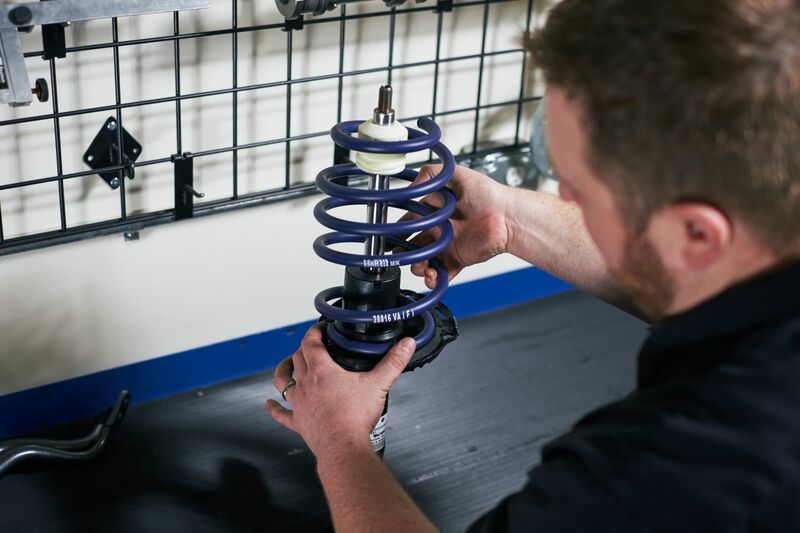 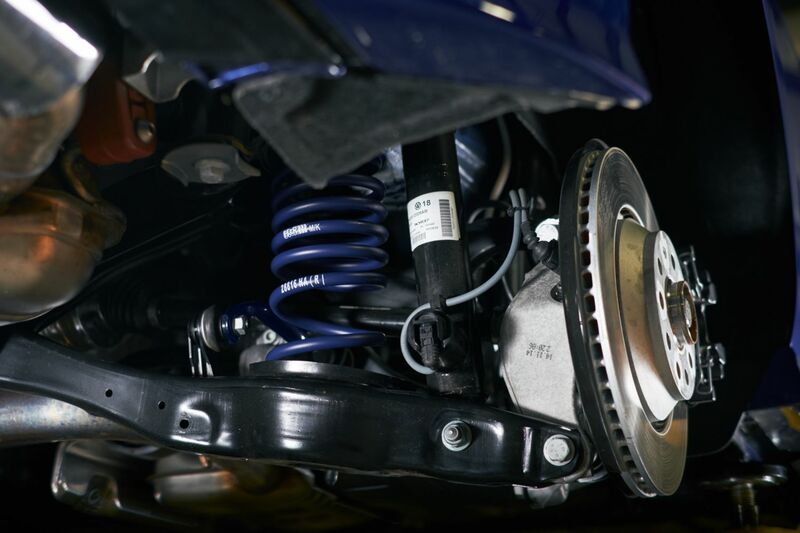 H&R suspension components enhanced performance and handling – perfect for this power-packed Golf. 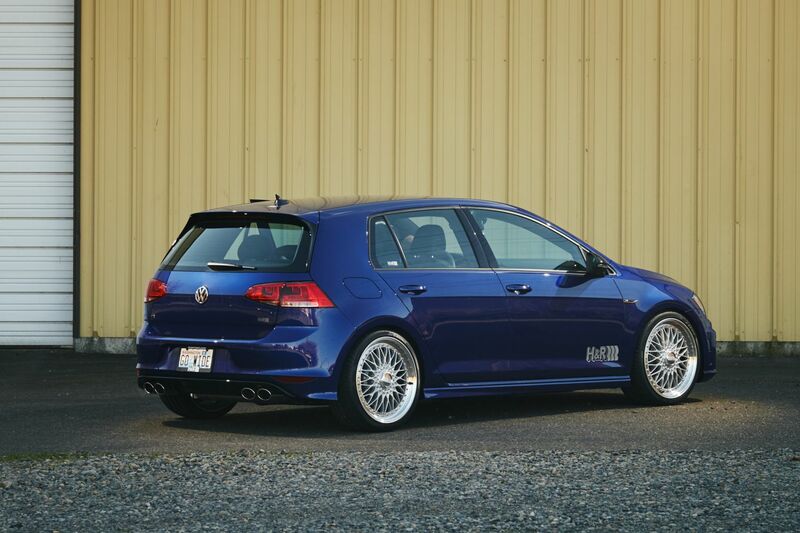 Trending with Volkswagen enthusiasts around the globe, BBS Super RS wheels were a no-brainer for this project. 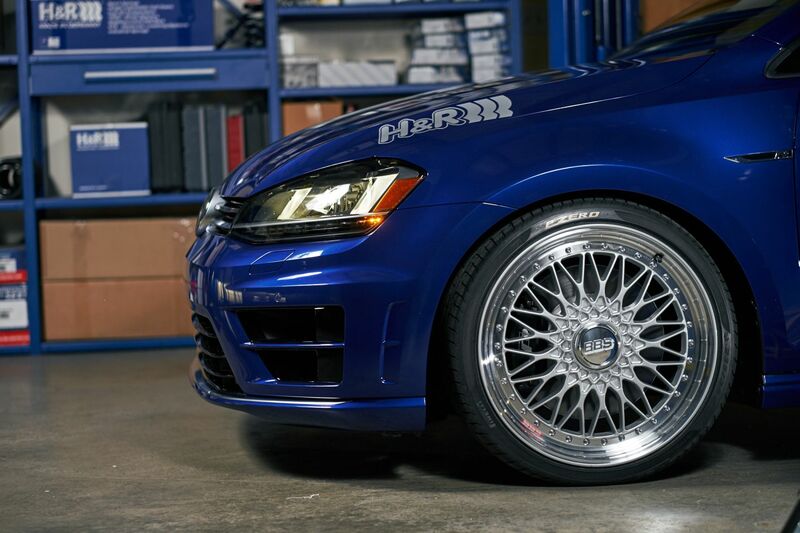 Pirelli P Zero Silver tires were mounted on the 19” silver BBS rims, a perfect pairing with the bright blue of the Golf R.
For a flush, “Go Wide®” profile, we used 5mm front and 10mm rear H&R TRAK+® Wheel Spacers, which fill the fender gap perfectly.